The Craftsman garden tractor model 917.272960 is a riding lawn mower manufactured by Husqvarna and featuring a Briggs & Stratton engine. This riding garden tractor model can effectively cut large yards quickly, but occasionally you need to make mower deck height adjustments to compensate for taller or shorter grass. Fortunately, you can make these adjustments in short order using an easily accessible knob on the Craftsman garden tractor. You do not need previous experience with lawn mowers to adjust the mower deck height of your Craftsman routinely and efficiently. Park the Craftsman garden tractor model 917.272960. Locate the height adjustment knob on the Craftsman garden tractor. You can find this height adjustment knob on the riding mower's center console, directly below the wheel. It will be aligned to the left of this console area, below the ignition key. Turn the height adjustment knob clockwise in order to raise the cutting height of the mower deck. Continue to turn this knob clockwise to raise the deck height to its highest point. Turn the height adjustment knob counterclockwise instead in order to lower the cutting height of the mower deck. Continue to turn this knob counterclockwise to lower the deck height to its lowest point. 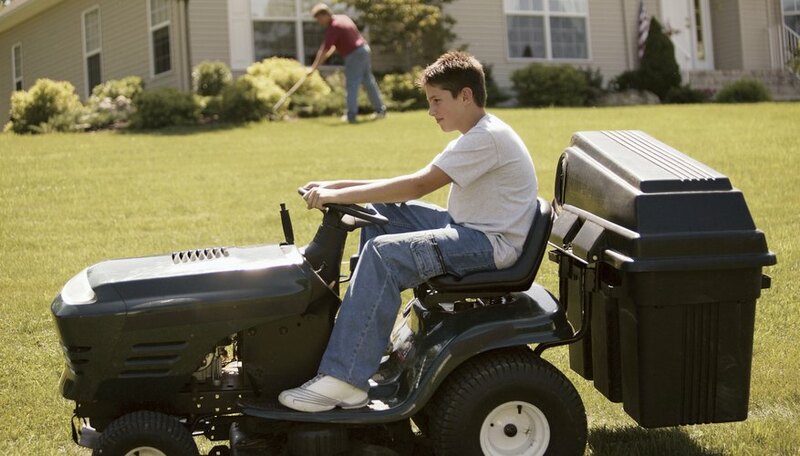 The cutting height range of the Craftsman garden tractor is from 1 1/2 inches to 4 inches. These official measurements were made when the engine was not running. They are approximate measurements. Craftsman suggests cutting lawns to 2 1/2 inches in the colder seasons and to just over 3 inches in the summer months.